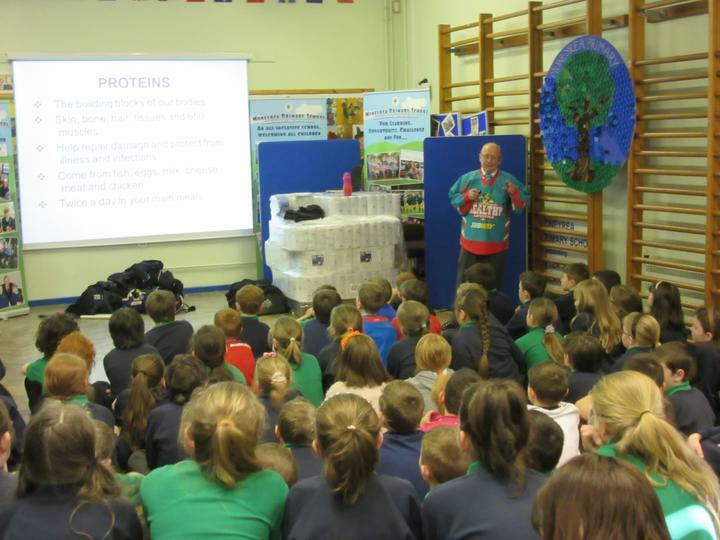 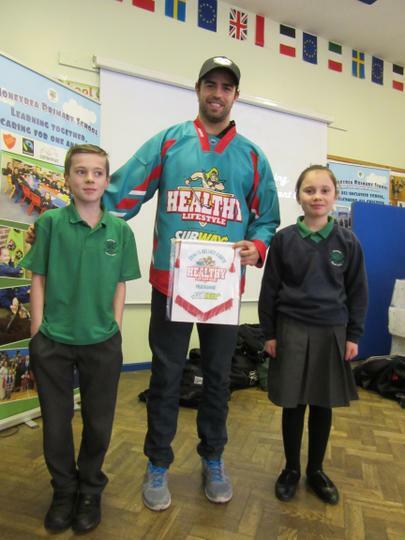 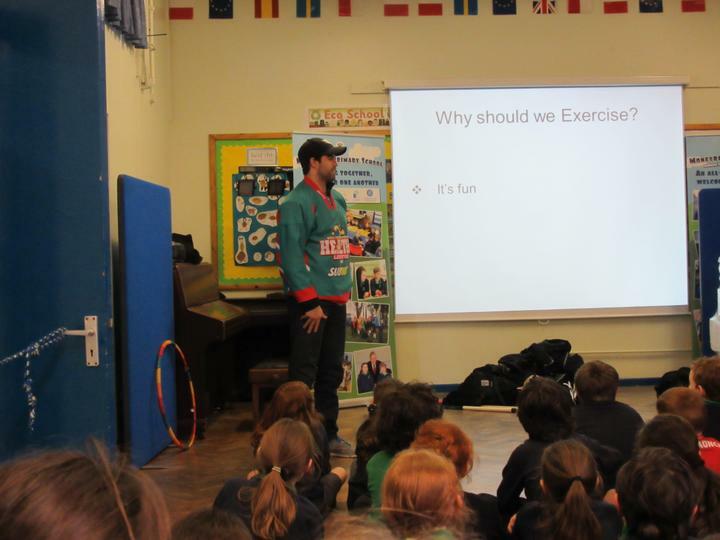 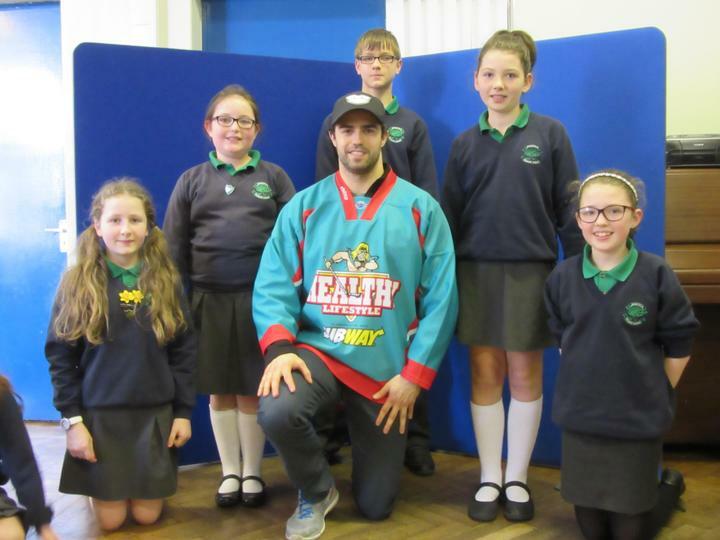 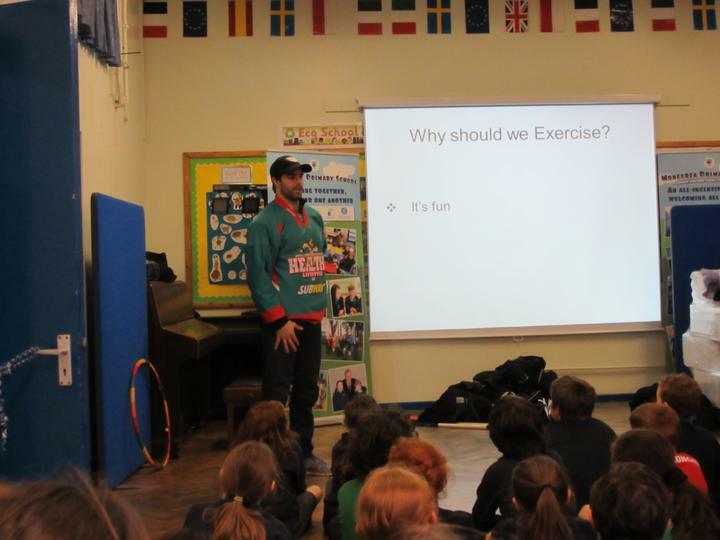 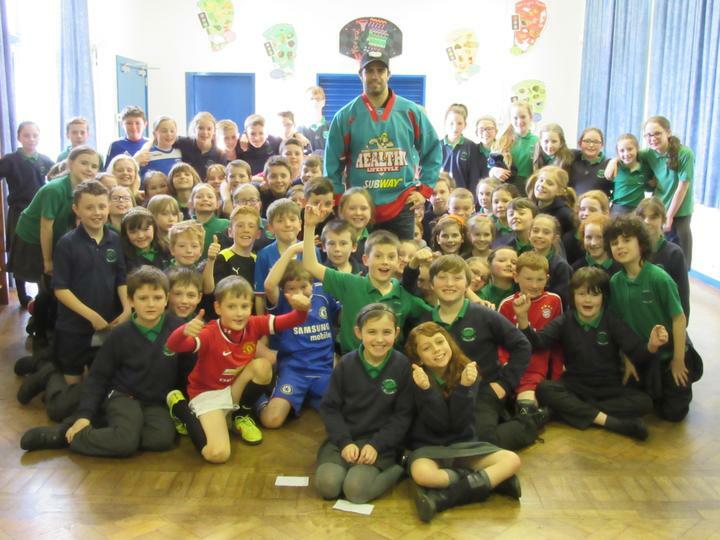 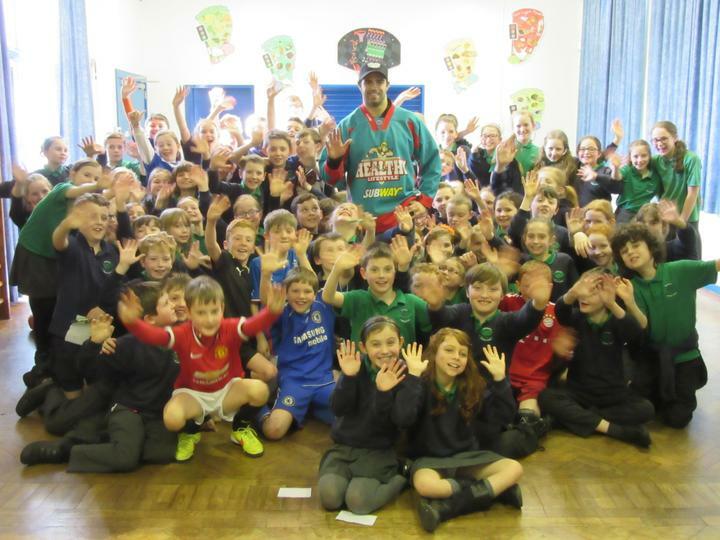 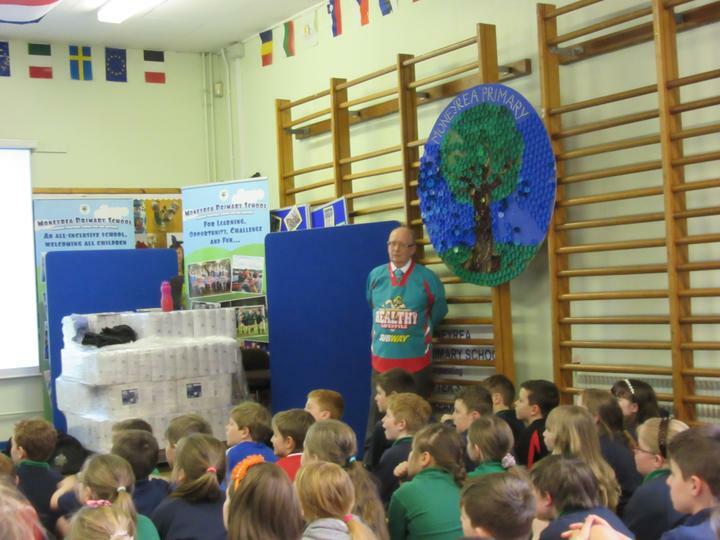 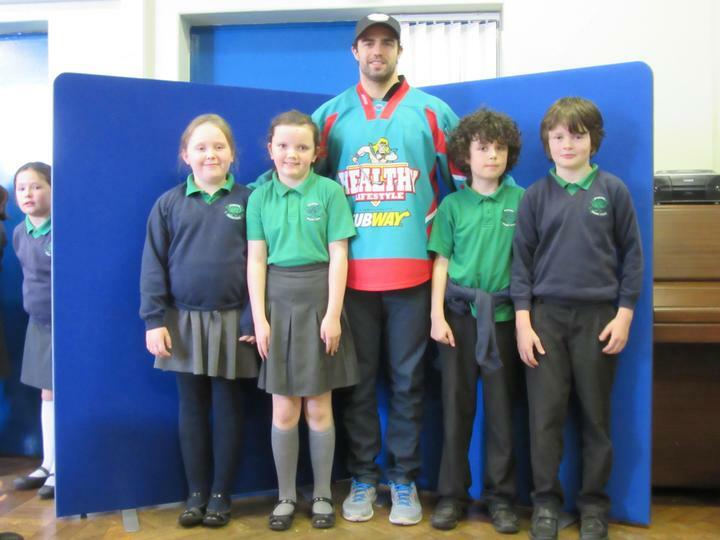 Primary 5, Primary 6 and Primary 7 were lucky enough to receive a visit from the Belfast Giants. 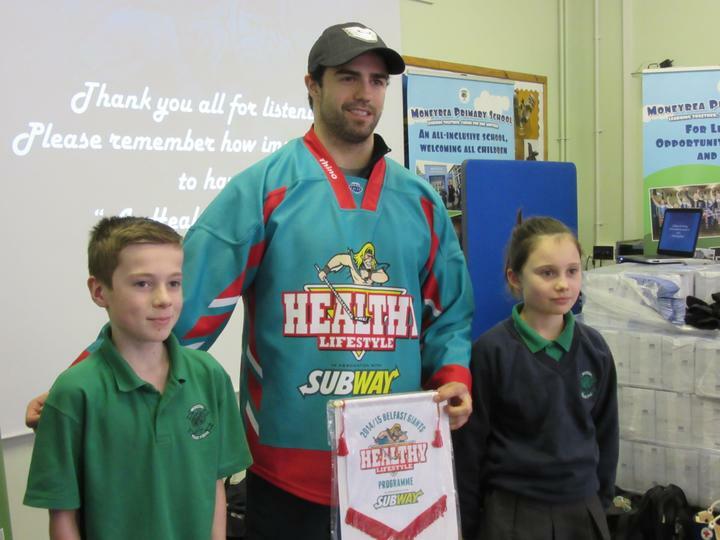 They looked at healthy eating, balanced diets, nutrition and how to live a healthy lifestyle. 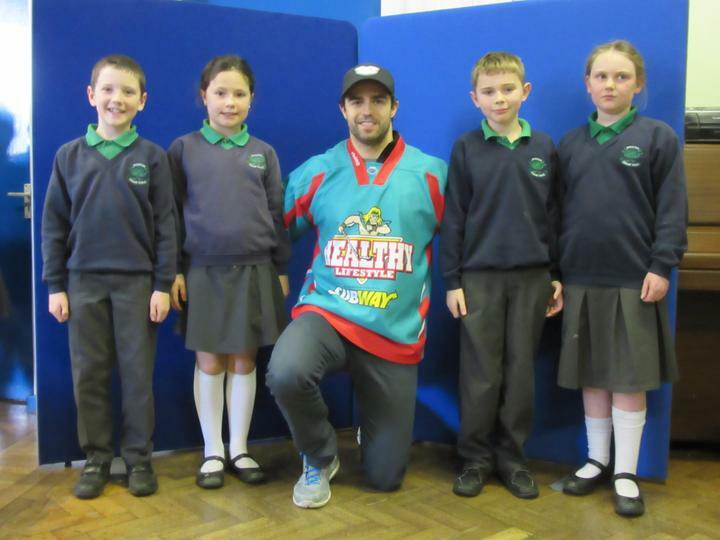 They were even rewarded with tickets to see the Belfast Giants in action at the Odyssey Arena.